Today was the first day I actually went go buy presents and it wasn't bad. You know I had to stop in Markville mall and pop into Sephora too. A lot of Holiday goodies are still available! 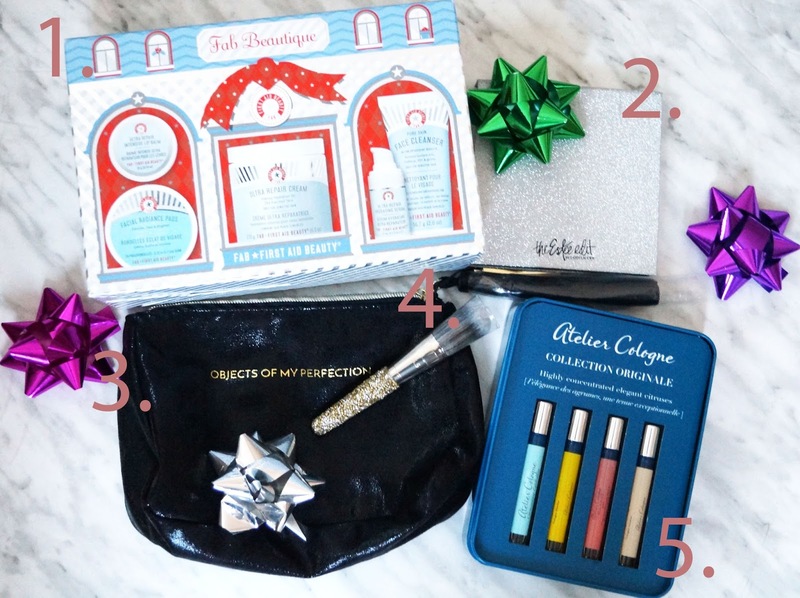 Did you see my Sephora Collection Shine and Sparkle post from yesterday. I'm still in awe of the PRO brush set! Here are a few more products that I've tried and totally few in love with this month. This is actually my first time hearing about First Aid Beauty! 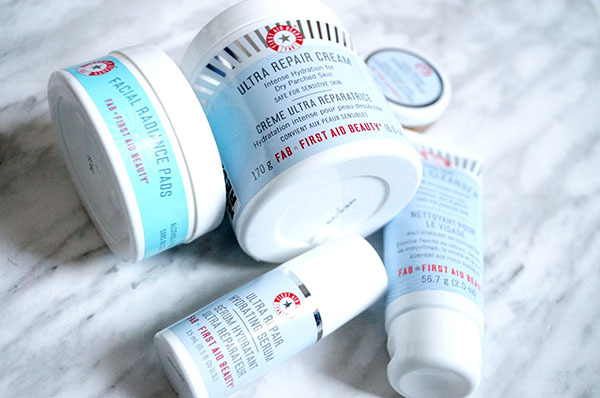 This box is the perfect introduction to the brand: FAB Beautique - First Aid Beauty ($60.00 CAN). You get five items to help you start the new year with glowing and refreshed skin. If you're nursing a break out like me- it's good to know that these products are safe for sensitive skin and formulated withOUT fragrances. Plus free of parabens, sulfates and phthalates. 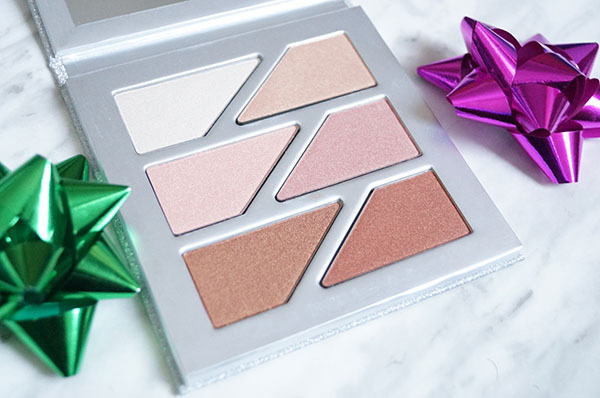 I received only the Glow Face + Eye Palette palette from *Sephora BUT The Estée Edit Gritty & Glow Magnetic Face Palette ($70 CAN) comes with another eye shadow palette as well. It's beautiful and perfect for ALL skin tones. You get six highlighter shades that can be used for cheeks and eyes. A girl can never have enough makeup bags! This SEPHORA COLLECTION Objects Of My Perfection Bag ($20 USA) is a unique pouch that comes in a black crackle. I took a picture of it with flash to show you the details. This bag is cute enough to be used as clutch! This is the fanciest brush that I currently own! The SEPHORA COLLECTION Sparkle & Shine Pro Mini Airbrush #55.5 ($33.00 CAN). This is the smaller verison of the famous PRO #55. 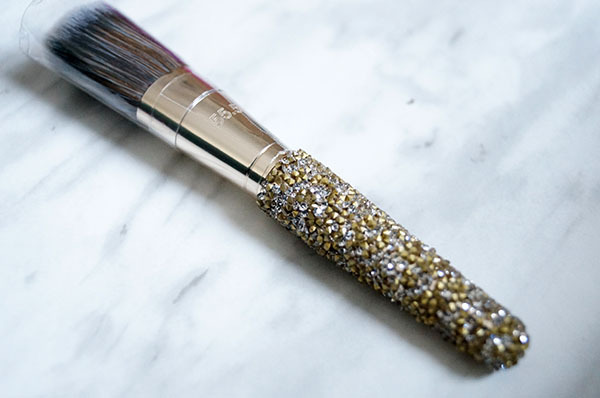 Looking for a brush to give you that airbrushed look? This is it! This brush is synthetic and cruelty-free as well. A major bonus! I found a new fun scent to obsess over from Atelier Cologne. Their Nécessaire Citrus Cologne Absolue Set ($32.00 USA) is awesome! The collection is totally inspired by travel. My favourite is Clémentine California. It's a new Atelier Cologne scent for 2017. Plus if you get the tin you get early access to smell it from Sephora. Think Clementines from California- Juicy, sweet & fun!